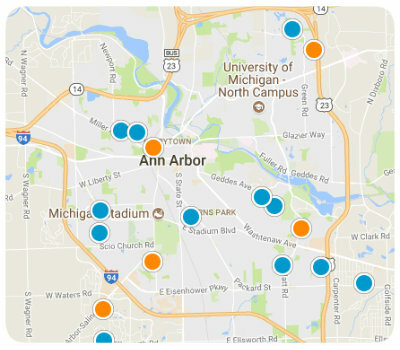 Experienced: JoAnn has lived in Ann Arbor for nearly 30 years, and has been helping people buy and sell their homes full-time in the area for more than 10. Service with Results: Our hallmark is our exceptional, personal service—helping you sell your home for the highest possible price and under the best terms. The first time we meet, we will discuss what your selling objectives are. This is a good time to ask questions, and I'll give you an idea of what to expect during the selling process. We can discuss preliminary ideas for pricing and preparations to get your house ready to sell at the best possible price. I will also provide you with a complete Comparative Marketing Analysis (CMA) for your property. Before putting your home on the market, we want to do everything we can to get you the most return on your investment. Knowing how to showcase and accentuate the best features of your home is at the core of what we do. We will discuss minor repairs, curb appeal tips, staging, and making your property feel welcoming to potential buyers. I have contacts to help you with anything you want to have done, and will help you organize the process. Pricing your home competitively from the beginning will generate more activity among agents and buyers and lead to a more successful sale. Establishing the value and list price for your property involves researching and comparing similar properties and weighing factors including location, condition, amenities and market conditions. We will work together to price your home effectively. Understanding where buyers come from allows me to market your property competitively. Creating excitement in the marketplace through smart, consistent marketing and integrating online and offline efforts is key to a successful sale. I market my listings in a large variety of ways, from Facebook and Instagram to local and national media. I also hold public open houses and agent tours to get the maximum exposure in the community. I will remain in constant communication with you and give you progress reports on showings and all activity. The complexities of processing transactional documents will be made very easy for you through my continuous guidance and communication. I will review all offers and terms of each offer with you and negotiate on your behalf so that you get the highest possible price for your home while protecting your best interests. Once your home is in escrow I will prepare all seller required disclosures and reports and make sure all contingencies and repair requests are removed in a timely manner per the contract. Communication between us is imperative and I can assure you that you will be informed every step of the way. I will be at the closing to answer any questions. And our relationship doesn't end when you sign the papers. I am always available to help you should a question arise and help you find resources in the community.